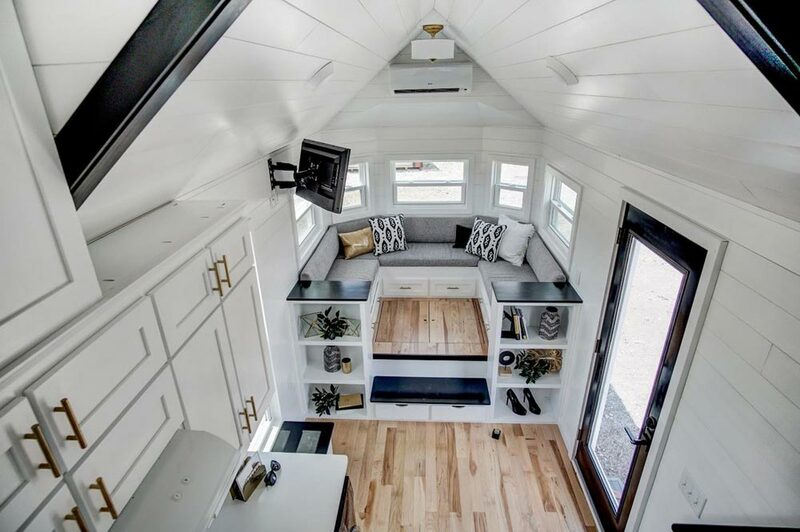 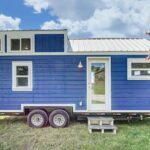 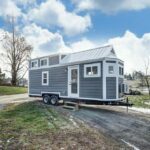 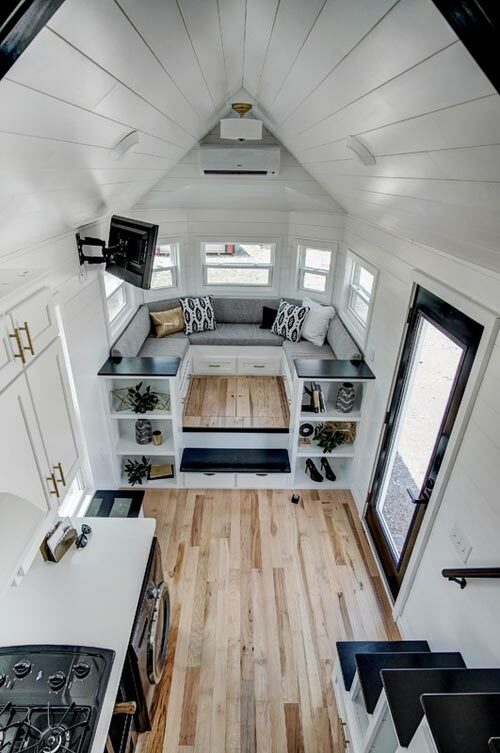 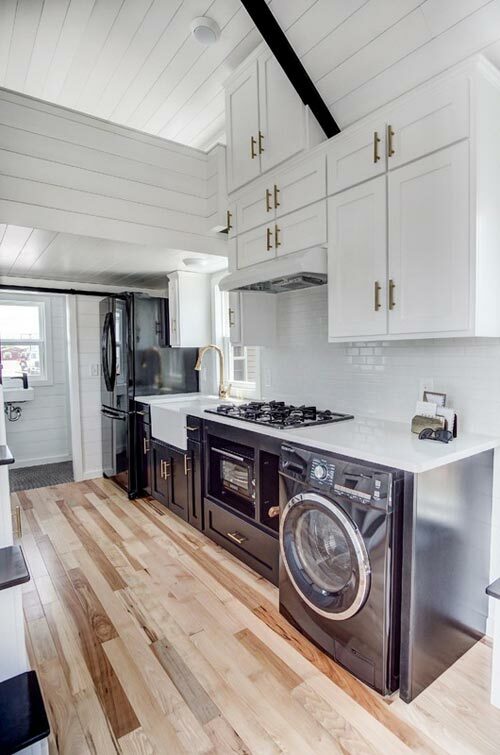 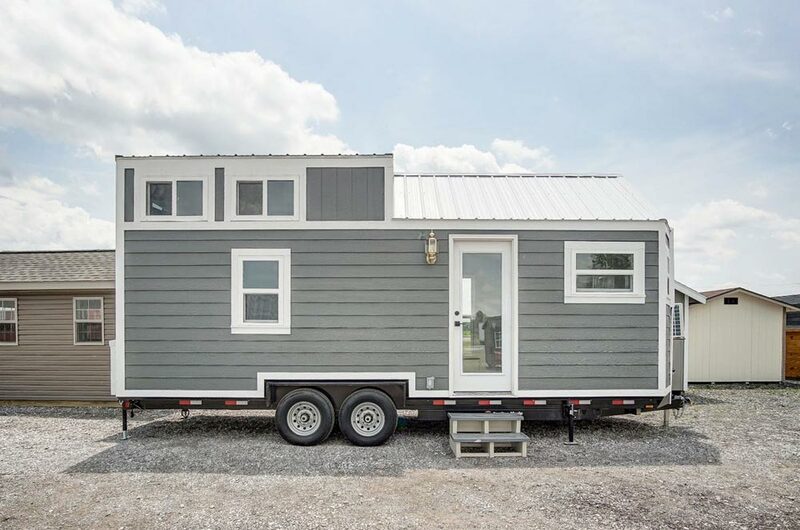 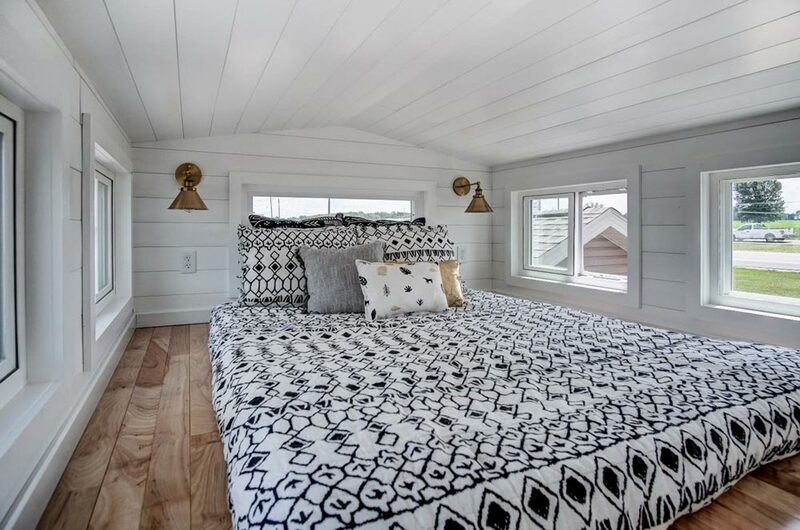 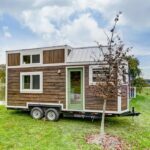 After having great success with their Kokosing tiny house, Modern Tiny Living built the Kokosing 2. 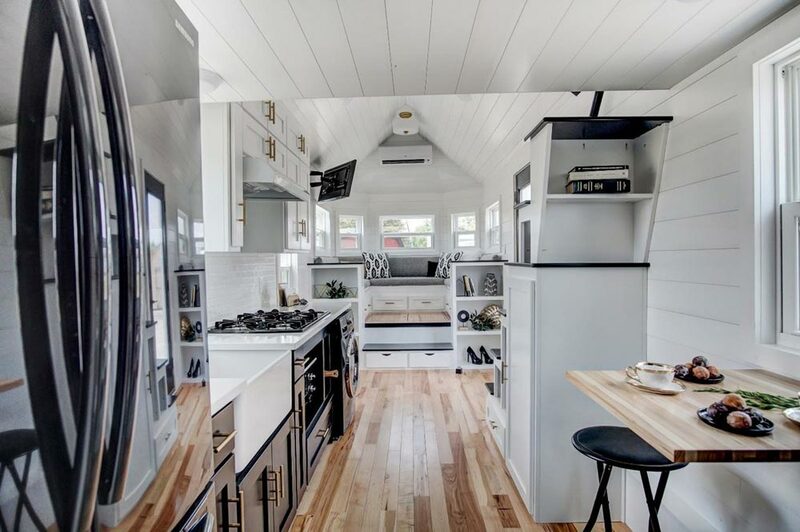 The Kokosing 2 keeps the same layout as the original Koko, but the colors have been changed to a more modern theme with its blacks, grays, and whites. 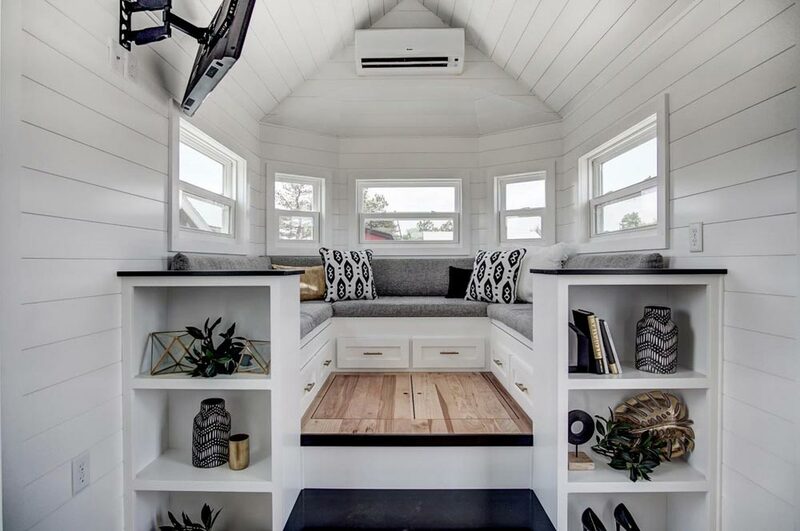 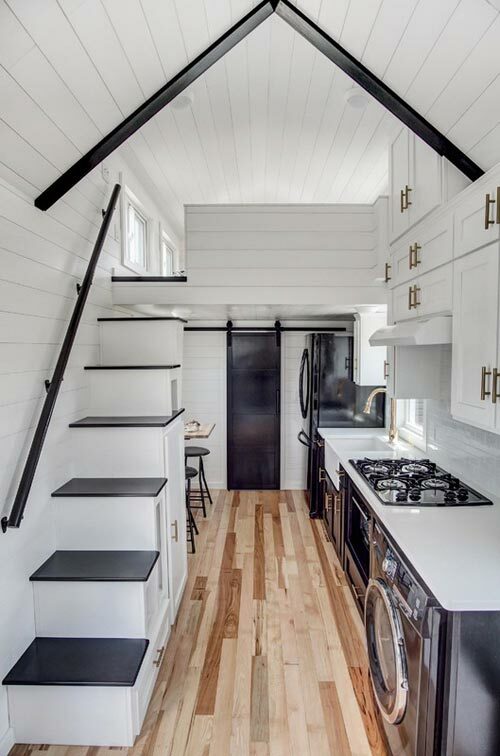 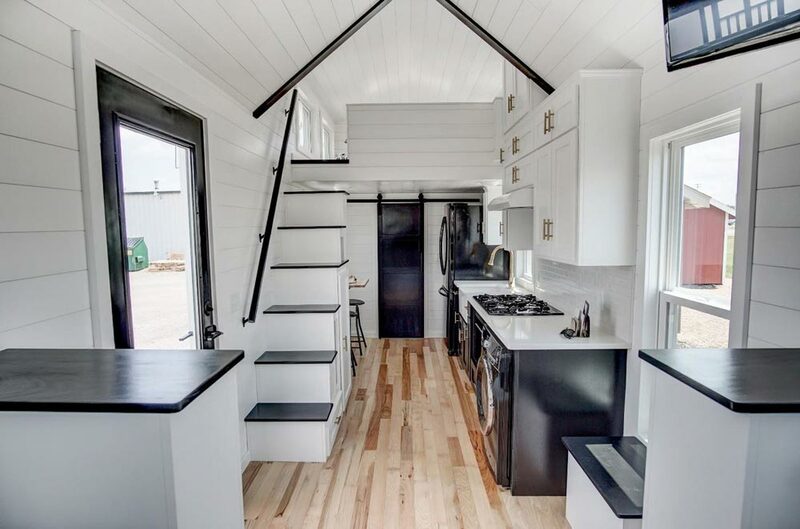 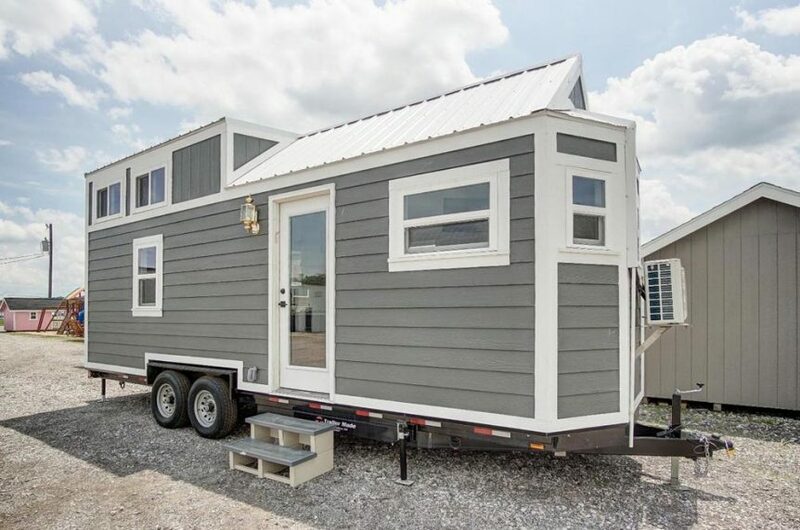 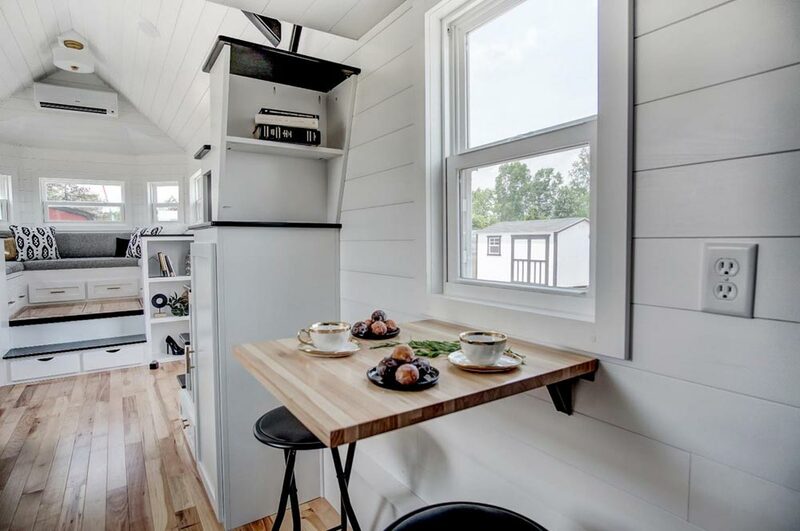 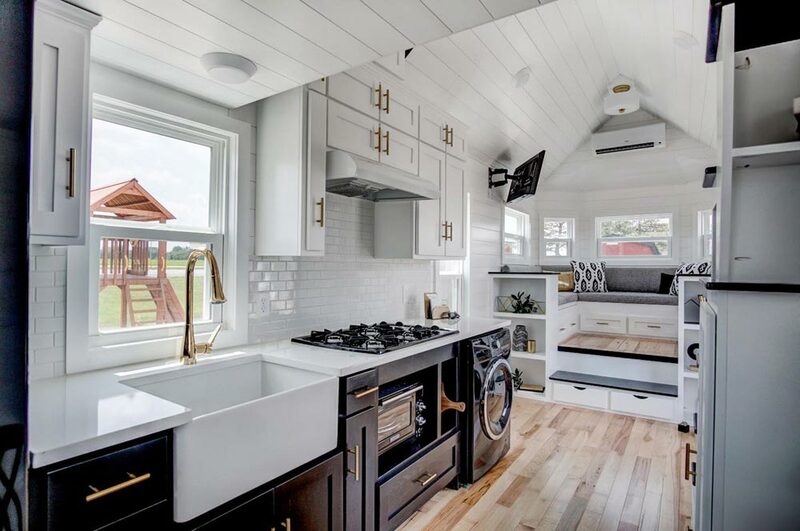 The 256-square-foot tiny house measures 24-feet long and sits on a Trailer Made custom trailer. 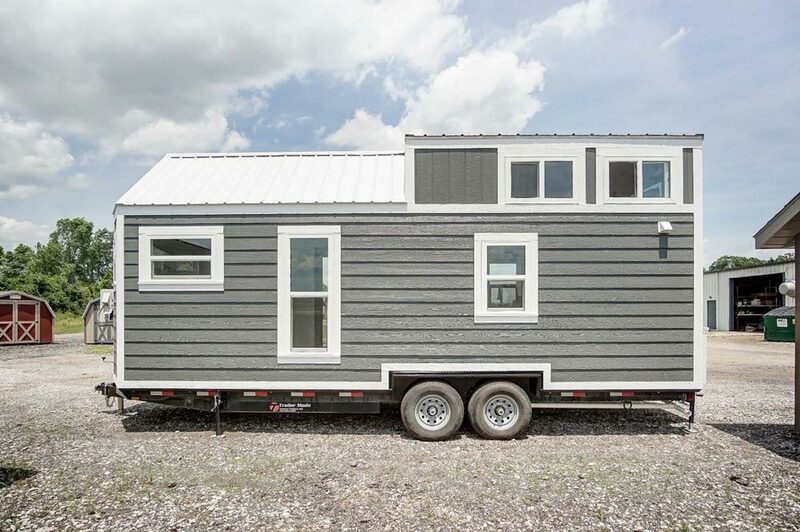 Gray Lapped Smart Siding, white trim, and a steel roof provide a modern, low maintenance finish. 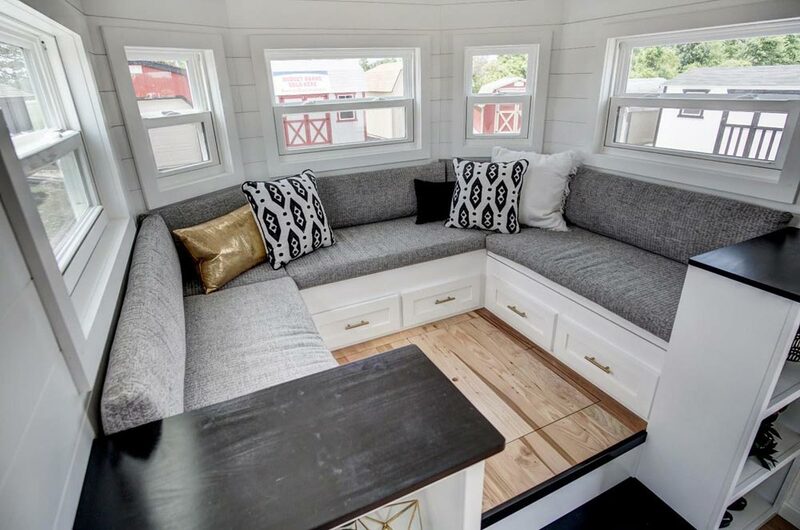 As with the original Kokosing, the Koko 2 has the popular raised couch platform with tons of storage space and bed conversion. 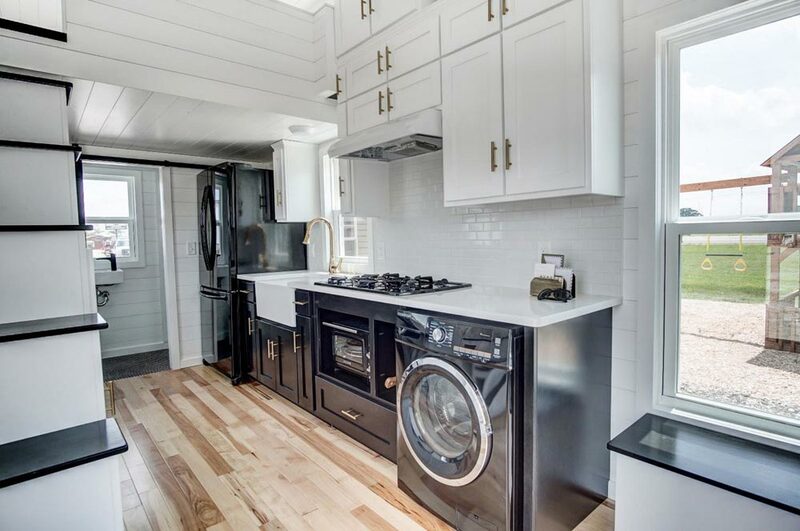 The kitchen is finished with black and white cabinets, black stainless steel appliances, chrome fixtures, white quartz countertop, and tile backsplash. 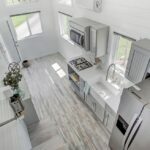 Appliances include a 30″ wide refrigerator/freezer, 30″ gas cooktop with hood, toaster over, and 24″ white farmhouse sink. 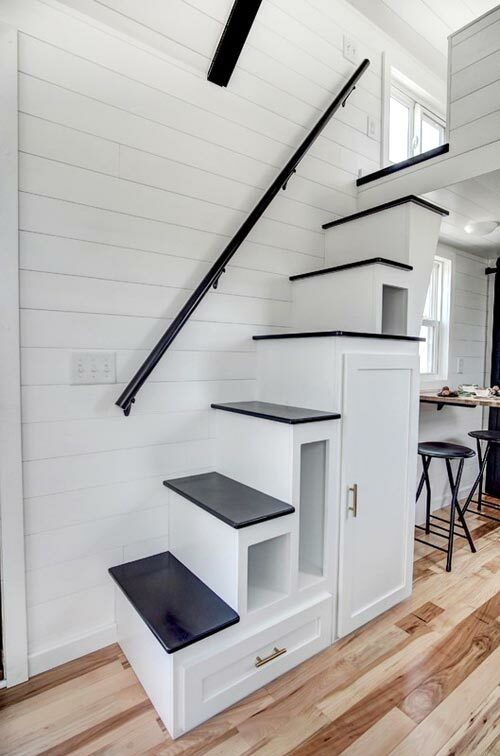 Storage stairs lead up to the queen size bedroom loft with five windows and the same Acacia wood floors as the main level. 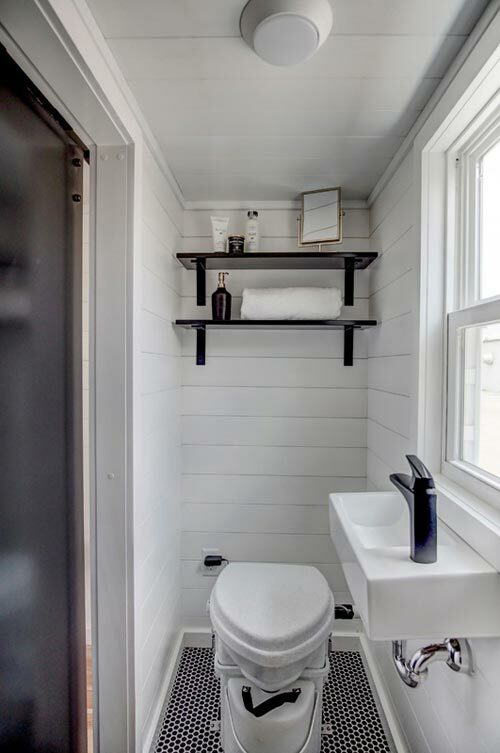 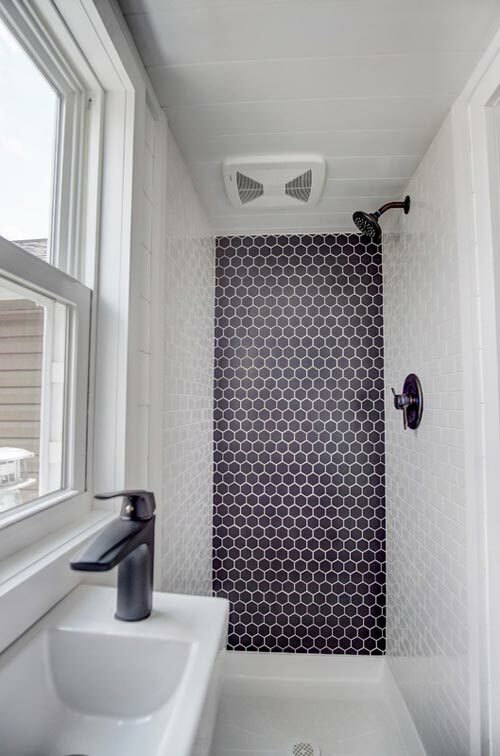 A black custom barn door leads into the bathroom where you’ll find black and white tile, a full size shower, and a composting toilet. 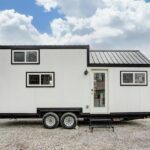 The Kokosing 2 was listed for $84,000. 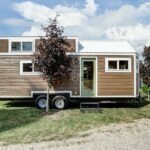 For more information you can visit the Modern Tiny Living website.